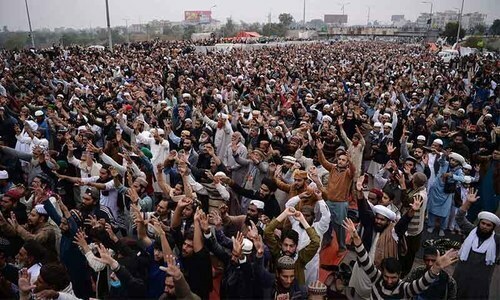 ISLAMABAD: Blaming Pakistan Muslim League-Nawaz (PML-N) chief Nawaz Sharif, Prime Minister Shahid Khaqan Abbasi and Interior Minister Ahsan Iqbal for the crackdown on its activists, the protesting Tehreek Labaik Ya Rasool Allah (TLYR) on Sunday said the government had lost moral authority to rule. In a statement issued by the party’s media cell here, the right-wing religious party stated that the crackdown by the law enforcement agencies on its activists was the worst form of violence. The TLYR said it would file an FIR against the government for what it called ‘murder of dozens of its activists’, adding that several wounded protesters were still in hospitals, some of them in critical condition. Rejecting the possibility of any negotiations with the government, the party made it clear that it wanted those behind the amendment to the Khatm-e-Nabuwwat clause penalised, and Law Minister Zahid Hamid sacked. The authorities launched a crackdown against the TLYR sit-in on the orders of Islamabad High Court (IHC) after the protesters ignored the repeated calls for resolving the matter peacefully. Earlier in the day, the TLYR announced it would come up with a new strategy and put forth its demands afresh, but only a statement was issued till the filing of this report. 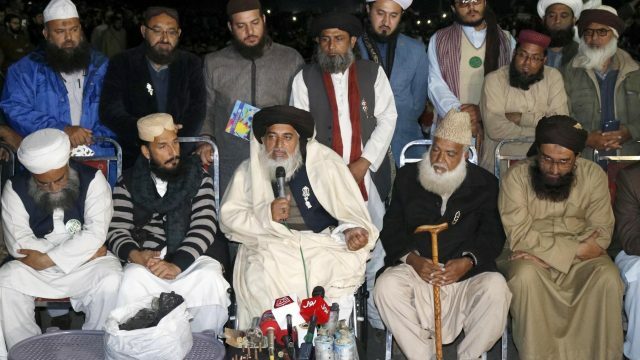 Pir Ijaz Ashrafi, the TLYR media advisor, told Pakistan Today that the new strategy would be announced after the meeting of the party leadership following Zuhr prayer. “We will inform of our demands after a funeral prayer of one of the deceased activists of the rally is held,” he added. Asked whether his party still wants Law Minister Zahid Hamid to resign, Ashrafi said that the resignation of Zahid Hamid was no more relevant. “It’s beyond Zahid Hamid now. The situation has changed after ‘attack’ on the party’s workers and their ‘martyrdom and injuries’. We will announce our fresh demands soon,” he added. 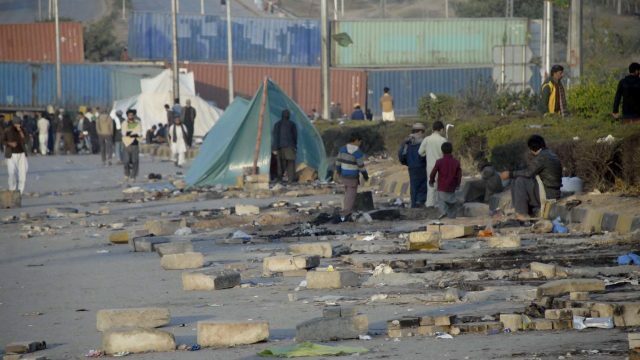 Dr Shafique Amini, the party’s candidate who had surprisingly secured a good number of votes in Peshawar’s NA-4 by-polls, said that there was no dearth of food at the protest site. “We don’t know from where the food is coming from but it’s all because of God-fearing residents of Rawalpindi, everyone, who comes here, brings something for us to eat,” he added. Asked whether he had also been injured in the operation, Amini said that he has remained safe but his car got damaged after it was allegedly targeted by security forces. “We are ready to sacrifice our lives for the Holy Prophet (PBUH), no one can deter us,” he claimed. One of the protesters told Pakistan Today that the security forces had allegedly killed 95 of their “comrades”. 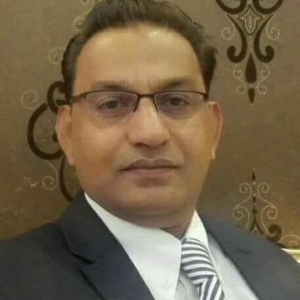 “The security forces have killed 45 people during the operation at Faizabad Interchange, whereas, 95 of our comrades have been killed across the country,” he claimed. “Even doctors of PIMS (hospital) are killing all of our injured workers on government’s orders,” he went on to claim. T–LYR has been called a terror-ist group by all foreign media except pakista-ni medi-a. It should be declared as terroris-t group.